All Saints' Church Hawton has held many social events in and outside the church and with our new facilities including W.C. and kitchen servery, we are happy to hire the church out for suitable events. 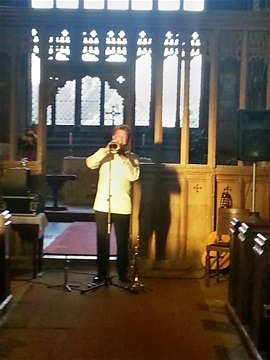 The church has wonderful acoustics so makes a great venue for music and singing/choral events. There are special rates for local people, charities and schools too. The space can be used for meetings, classes, talks, exhibitions and social gatherings. Go to our Contact Us page and send a message to receive the full terms and conditions for hire.